I've gotten a little lazy this week and am still wearing Chanel Particuliere. 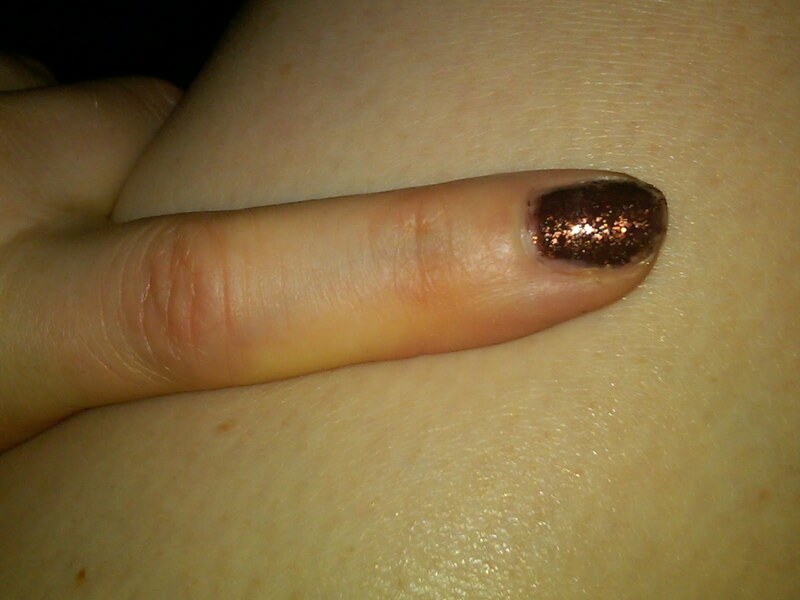 (But never fear, I'm getting a manicure tomorrow and will have a brand-new color to show all of you!) In any case, I decided to take this opportunity to test out how some sparkly Deborah Lippmann stunners look layered over the greyish brown hue. And I've gotta say, I'm loving them both! First up, we have Chanel Particuliere paired with a coat of Deborah Lippmann Happy Birthday. I love the individual multicolored sparkles -- usually I'm not a fan of piecey glitter like this, but in the case of this polish, I'm totally into it! I think it creates such a unique look. 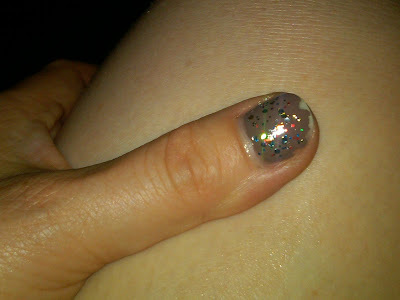 Next, we have Chanel Particuliere paired with a coat of Deborah Lippmann Superstar. The bronze-gold hue, teamed with massive amounts of gritty, glittery sparkle, really make this a standout combination for me. I feel utterly glam with this on my nail!